This Gingerbread Rudolph scene was a winner in the Youth category at the 2009 National Gingerbread House Competition. Yes, it was actually made by someone 9-12 years old! Look at how incredibly accurate each figure from the Rudolph story looks! 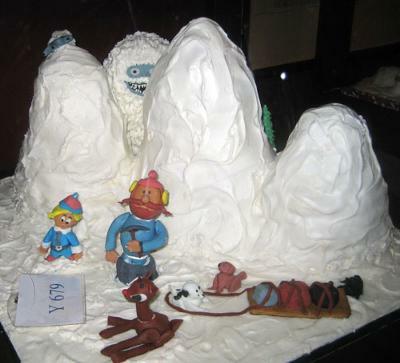 The abominable snowman it great fun too! 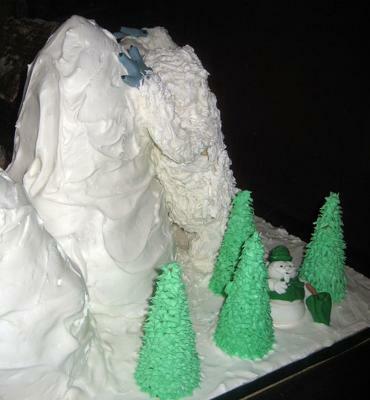 Here's the back side with the Burl Ives Snowman. SO like the real cartoon! !